It’s author interview time! *Cue Jazz hands! * Today we’ve got author Sheila Johnson! Sheila, tell me a bit about you and your latest work. I have a diploma in journalism and have written over six hundred articles. I have also published two books. I self-published ‘Alpha Male’ in 2016 and my latest book, ‘Waireka’ was published in June 2018. 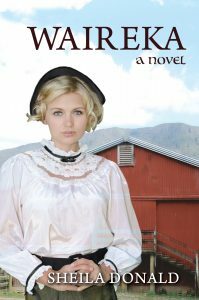 It is a historical romance set on a dairy farm in nineteenth century New Zealand. Waireka is a story of love and commitment, hope and despair set against the farming background of nineteenth century New Zealand. Finding my books in all the big retailer outlets. I have used names that describe my characters attributes e.g. Craig (hard) but in Waireka, some of the names are based upon real historical figures or are close to the real names. Only to share my blog on Google. Go and do something else. Either something in the home or visit someone. Alpha Male – About 9 years Waireka – only 6 years, so I’m improving! Making enough time for it. Life is very busy. Mostly on the computer but sometimes when writing poetry I use pen and paper or if interviewing someone for an article. Waireka is a story of love and commitment set against the farming background of nineteenth century New Zealand. This historical romance follows Eliza’s journey from her home in Scotland all the way to Wellington, New Zealand to be one of the first early pioneers, as she and her husband, Alister, set up a dairy farm. It’s a story of love and tragedy, hope and despair but most of all a tale of survival in the new country. Sheila Johnson, a UK based writer, has over ten years’ experience as a successful freelance journalist. She writes fiction under the name of Sheila Donald, and in 2016, published, a Christian romance based around an Alpha Course, called ‘Alpha Male’. ‘Waireka’ is her second book, a historical romance set in in New Zealand during the nineteenth century. 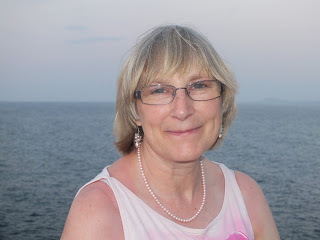 When not writing, Sheila enjoys singing, history, listening to music, films, the theatre, cooking, swimming and Formula One racing.